Youths’ participation in organized activities has been repeatedly associated with better psychosocial adjustment. However, youth living in more disadvantaged contexts (e.g., lower-income, dangerous neighborhoods) have less access to organized activities. The current study aimed to compare hobbies and organized activities, in terms of their accessibility and associations with social functioning with peers, using a social ecological framework. We also examined the conditional effects of family and neighborhood disadvantage for the associations between activity engagement and peer functioning. Participants were 91 predominantly African American, urban-dwelling middle school girls (Mage = 12.43) and their primary caregivers. Dyads completed separate interviews and questionnaires on activity engagement, family and neighborhood disadvantage, and social functioning with peers. Results suggest that hobbies are a distinct facet of activity engagement that might be more widely accessible than organized activities. 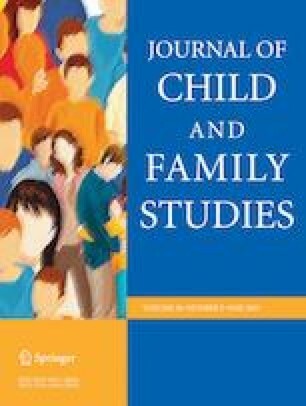 Greater involvement in hobbies and organized activities showed unique associations with indices of better peer functioning. Moreover, some of these associations were stronger for youth living in more disadvantaged contexts. This study advances the understanding of an important yet neglected topic within the adolescent development literature on activity research, namely differential access to opportunities among ethnic minority youth. Results suggest that hobby engagement is an important aspect of activity engagement with social benefits, especially for youth living in more disadvantaged contexts. Further investigation is warranted to understand the range of potential benefits of youths’ hobby involvement. Early adolescence Activity engagement Neighborhood disadvantage Low income Peer functioning. This study was funded by a grant from the National Institutes of Health to Valerie Simon (HD61230). D.B.S. collaborated with the design of the study, completed with the data analyses, and wrote the paper. V.A.S designed and executed the study, collaborated with the data analyses, writing, and editing of the manuscript. The study described received full IRB approval through Wayne State University and the sample was treated in compliance with APA ethical standards. Brooks, R. (2003). Self-worth, resilience and hope: the search for islands of competence. http://www.cdl.org/articles/self-worth-resilience-and-hope-the-search-for-islands-of-competence/. Brooks, R. (2005). The search for islands of competence: a metaphor of hope and strength. http://www.drrobertbrooks.com/monthly_articles/0506. Buhrmester, D., & Furman, W. (2008). The network of relationships invetory: Relationship qualities version. Unpublished measure, University of Texas at Dallas. https://doi.org/10.13072/midss.387. Klinker, C. D., Schipperijn, J., Christian, H., Kerr, J., Ersbøll, A. K., & Troelsen, J. (2014). Using accelerometers and global positioning system devices to assess gender and age differences in children’s school, transport, leisure and home based physical activity. International Journal of Behavioral Nutrition and Physical Activity, 11, 8. https://doi.org/10.1186/1479-5868-11-8. Meece, D., Pettit, G., Mize, J., & Hayes, M. (1998). What do young adolescents do when school let’s out? Discretionary time use and its relation to school adjustment. ERIC Reports. https://www.thefreelibrary.com/What+Do+Young+Adolescents+Do+When+School+Let%27s+Out%3f+Discretionary…-a0192423793. Ross, C. E., & Mirowsky, J. (2001). Neighborhood disadvantage, disorder, and health. Journal of Health and Social Behavior, 258–276. http://www.jstor.org/stable/3090214. U.S. Centers for Medicare & Medicaid Services (2018). Federal Poverty Level (FPL). Washington, DC. Retrieved from https://www.healthcare.gov/glossary/federal-poverty-level-fpl/.